The love child of a fling between Manchester Rock and Kingston Dub and raised on Rock and Roll, luring listeners with a salivating caress of the soul. 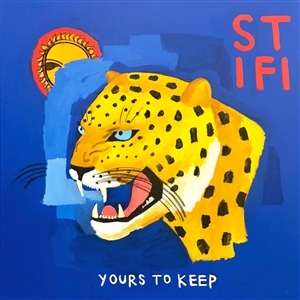 After a two year break, Australias Sticky Fingers are unleashing their fourth LP, Yours To Keep. With a plethora of sold-out headline shows over the world including USA, Canada, Europe, UK and New Zealand multiple times, theyve earned themselves a household name on the strength of their seductive style and high-voltage live shows and chart topping efforts. An album reflecting on the last few years for the band and specially dedicated to their friend and colleague, Emanuel Manu Tiberi, who sadly passed away mid last year. This is an album for their fans, friends and family. The bands most personal and emotional record yet. Its a soundtrack to a sunbathed kick-on.